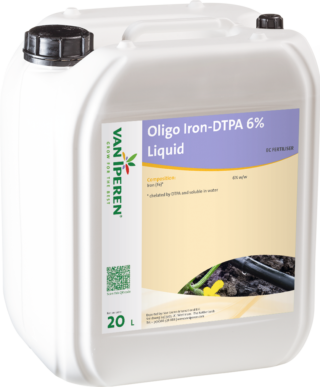 Van Iperen Oligo Iron-DTPA 6% Liquid is a pure an highly concentrated liquid Iron fertilizer, free of Sodium. Iron DTPA is adviced for hydroponics. Our product is a stable, translucent solution and is recommended at different phenological stages. The high level of Iron in our formula improves the production of chlorophyll. The chelating agent DTPA is the most resistant to photodegradation and ensures a rapid and complete absorption of iron through the plant with a visible effect of the treatment after a few days. 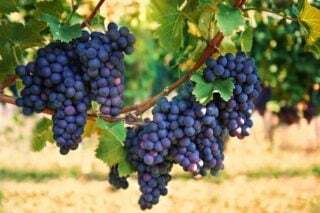 The high concentration of Iron allows to reduce in a short time the problems of deficiency and therefore to improve the photosynthetic activity of the crop. Directions of use: choose and apply the appropriate dosage according to cultivar need, phenological phase, temperature. Do not mix with alkaline products.